Did you know that Yahoo in Japan is a completely separate company from Yahoo in the rest of the world? Since 1996, Yahoo Japan has been the leading search and portal website in Japan. 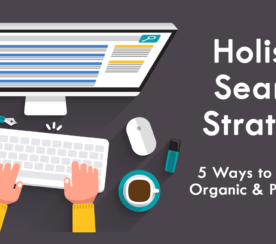 Since it started to use Google’s organic search results instead of its own search engine, some businesses, especially foreign businesses, seem to think that you don’t need to consider or monitor them separately. Read on to discover some of the unique features of Yahoo Japan, and why it needs to be a part of your digital marketing strategy for Japan. Because these are unique Yahoo Japan properties, they provide different search and digital marketing opportunities to businesses and website owners. They also provide additional content from the partners in these specific services and verticals. For example, their hotel and restaurant booking services are powered by Ikyu.com, and the video streaming service is offered by Gyao, which is a subsidiary of Yahoo Japan. Yahoo Japan has around 70 billion monthly page views, according to their report. 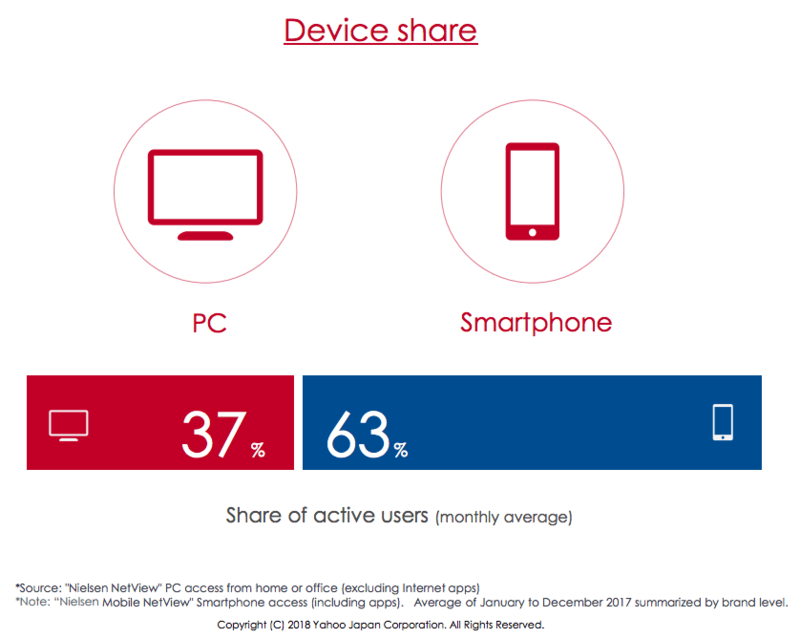 They also report that 75 percent of PC device Internet users in Japan are active users of Yahoo Japan, and an astonishing 90 percent of Japanese who access the web via smartphones are their active users. On average, 63 percent of their active users access the site via smartphone, which is about 57 million unique users in a month. Male and female active users on smartphone are split evenly, and nearly 90 percent of them are between the ages of 20 and 59. Yahoo Japan SEO: What Is Different? Although Google provides the organic search results to Yahoo Japan, the search results pages can look quite different, depending on the search queries. Yahoo Japan often injects their own unique content. 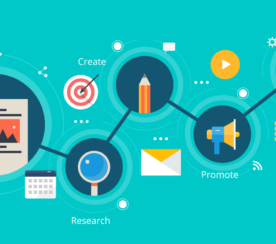 That unique content offers additional ways for businesses to gain unique visibility opportunities in the search results. 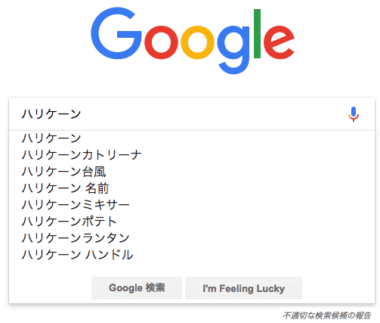 The two images below, show a list of related search queries that Yahoo Japan and Google Japan provided for the Japanese phrase “hurricane” when entered in the search box in Japan. The screenshots were taken when Hurricane Florence was about to hit the Carolinas. Even if you can’t read Japanese, you can “see” the differences in the popular search queries related to “hurricane” between the two lists. To me, the biggest difference is that “hurricane Florence” is listed in the second position on the list by Yahoo Japan, but didn’t even make the list on Google. Whenever I review the search results and the popular queries for the clients, I often find the big differences in the search queries between the two sites. Even the same word or topic, people seem to be looking for different information at these sites. Digging a bit deeper, the search results for “hurricane Florence” by these two sites are also different. 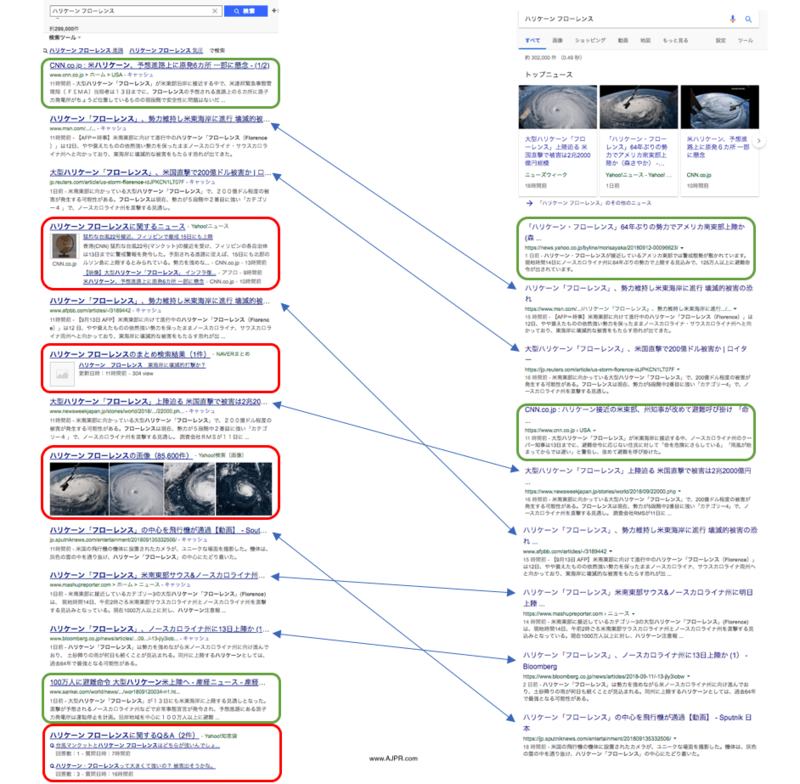 On the Yahoo Japan screen, the content inside the red boxes are from their own content – Yahoo News, Naver Matome, Yahoo Images, and Yahoo Q&A in that order. The double arrows point the same page on each site. You can see the slight differences in some ranking. The most interesting findings in these two results are the ones in green boxes. Those pages are only in the top 10 on one of them. This is by no means a scientific test, but the fact that the page ranking at the top of the search results on each site are not on the other site, it tells that you cannot assume that your pages are doing well in Japan when you only monitor the performance in Google. The above search results were done where personalization should not have made much of an impact. But in the real-life scenario, with more popular queries, personalization plays a big part in presenting the search results to users on both sites. As Google tries to present the best search results based on their user data, Yahoo Japan also presents the search results based on their user data. The different results reflect the different user interests and actions taken on each site. 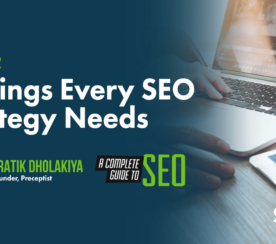 Instead of just chasing rankings, I suggest that you review the search results for several key-terms to understand what and how content is displayed. Look for different types of content opportunities to show up in the search results, in addition to webpages. 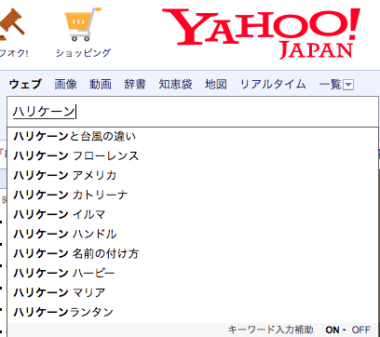 Yahoo Japan’s category-based searches (e.g., images, videos, news, finance, shopping) are also very popular, and the results are quite different from Google Japan. If you have good content that should show up in those category-based searches, be sure to optimize them, too. Keep in mind that while Yahoo Japan’s organic search results are powered by Google, Google’s Ads do not show up on Yahoo Japan and its content. Also, by selecting “Japan” as a target country, your Yahoo.com ads won’t show up on Yahoo Japan. These three companies are separate entities. In order to advertise on Yahoo Japan’s properties, you need to set up an account with them to run the campaigns. Sponsored search ads for the search results. This article is not about which service is better than the other. It’s about understanding both sites’ different services and unique audience reach so that you can make an educated decision to grow your business in the rapidly growing Japan market. If you only focus on one of them, you could be missing out on half of the business opportunities in Japan.